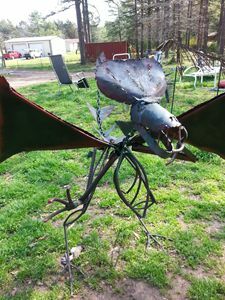 Large Dragon constructed of link chain, rebar, sheet metal. Freestanding for Home, Yard, or Office. Makes a very Striking display. 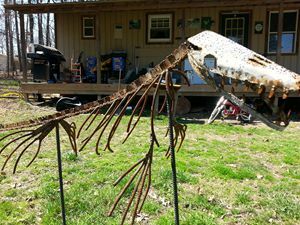 F. Gerard Lashway is a metal sculptor who has been working for more than 25 years. in Gila County Az Art Fair 3 years in a row. Also winning Best in Show at the Harlin Museun Gallery in West Plains Missouri. 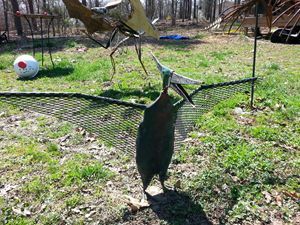 This award winning artist is known for his use of recycled materials in his sculpture. Creating Dragons, insects, fountains, and life-size dinosaurs. Mr. Lashway has sold nationaly to collectors, business offices and galleries. 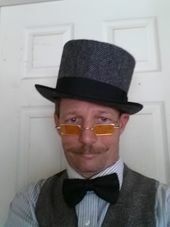 F.Gerard Lashway hopes you enjoy his work, and hopes you might enjoy owning a piece yourself.